We all know the negative stereotypes about terrorism experts. The gripes are nothing if not predictable – terrorism experts are deemed to be self-proclaimed, delivering opinion as expertise, and never shy to offer a view on just about every national security topic imaginable, let alone terrorism. Much of that commentary presents either a simplistic characterization of a broader community of enquirers (Exhibit A) or throws the baby out with the bathwater. Perhaps one challenge is an internal effort within our “industry” to do a better job of distinguishing nat-sec entrepreneurialism and insta-punditry from research expertise. Easier said than done, of course, though at least two of my colleagues are currently working on a project to explore this. But I do have one recurring gripe. I especially wince when I hear psychological concepts misused in discussions about terrorists. Setting aside efforts suggesting confusion about psychological and psychiatric concepts (Exhibit B), our collective tendency towards amateur psychology casts a pall over efforts to develop a psychological understanding of terrorism and the terrorist. Rather than exploit insight derived from systematic enquiry, we are often left with what Max Taylor recently characterized as “folk psychology” – a preponderance of commonsense tendencies to explain terrorist behavior in generic jargon that…umm…doesn’t really explain anything. It seems right, sounds plausible, and we don’t question it because it has the veneer of psychology, and thus, the veneer of understanding. We see this in several efforts at understanding radicalization processes where several folk psychology concepts are used in attempts to understand “intentionality”. Instead, they obscure, confuse and invariably disappoint. Longer-term, they result in an unrealized sense of what scientific psychological analysis has to offer an understanding of (and thereby control over) terrorist behavior. The fight for a Science of Terrorist Behavior is for another day – and that day is coming – but a question I’m regularly asked whenever issues of terrorist psychology arise, is what readings can be recommended for someone who wants to get started in the area? Here’s a quick, non-scientific list of what I have personally found to be 11 essential readings. It should go without saying that there are dozens of additional quality examples that will feature in any comprehensive effort to understand terrorist psychology. This is the limitation of all lists. But if you are engaged in, or plan to engage in, research on terrorist psychology, you have to track down and devour every one of these texts. 1. W. Reich (Ed.) (1990). Origins of terrorism: Psychologies, ideologies, theologies, states of mind. Cambridge: Cambridge University Press. Once the singular text in this area, this volume is finally starting to show its age. Despite this, the opening and closing chapters (by Reich himself) still represent some of the most insightful observations about the nature of psychological explanations of terrorism. Borum, R. (2011a). Radicalization into violent extremism I: A review of social science theories. Journal of Strategic Security, 4, 7-36. Borum, R. (2011b). 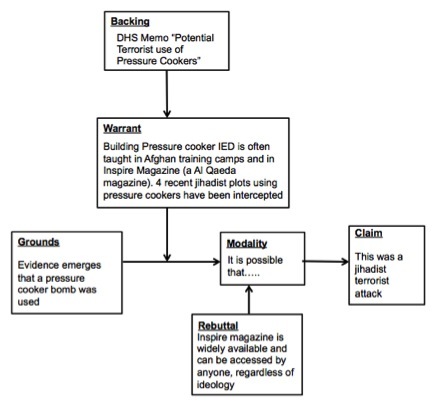 Radicalization into violent extremism II: A review of conceptual models and empirical research. Journal of Strategic Security, 4, 37-62. Borum, R. (2011c). Rethinking radicalization. Journal of Strategic Security, 4, 1-6. Best of all, the Journal of Strategic Security is free (disclaimer: I sit on its editorial board) so no excuses. 3. Victoroff, J. (2005). The Mind of a Terrorist: A Review and Critique of Psychological Approaches. Journal of Conflict Resolution. 49:1. 3-42. Jeff Victoroff turned to terrorism research on the morning of 9/11. Four years later, he produced what remains the single best review of the psychological literature. A long, comprehensive and brilliant read. A gold standard. 4. Arena, M.P. and Arrigo, B.A. (2006). The Terrorist Identity: Explaining the Terrorist Threat. NYU Press. A critically acclaimed yet strangely overlooked book. Rich in theory, grounded in the authors’ disciplines, and a solid conceptual framework for future researchers. 5. Bongar, B., Brown, L.M., Beutler, L.E. and Breckenridge, J.N., Zimbardo, P.G. (Eds.) (2006). Psychology of Terrorism. Oxford University Press. A beast of a collection, with contributions from some real heavyweights in psychology. Some technical chapters here that contain blueprints for tough questions about terrorism that are still being asked in 2013. 6. Stout, C.E. (Ed.). (2002). The Psychology of Terrorism Vol 1-4. Westport, CT: Praeger. Probably the most expensive item on this list, this multi-volume set covers a huge range of issues. 7. Merari, A. (2010). Driven to Death: Psychological and Social Aspects of Suicide Terrorism. Oxford University Press. From another giant in the field, this is Merari’s major work. One of the handful of studies not just involving interviews with failed suicide bombers, but a study in which the investigators actually engage in personality assessment. 8. McCauley, C. and Moskalenko, S. (2011). Friction: How Radicalization Happens to Them and Us. Oxford University Press. Despite its newness, a hugely influential book, largely focusing on individual-level processes. Probably the single best effort to date to conceptualize radicalization as something far bigger and broader than just related to terrorism. 9. Ballen, K. (2011). Terrorists in Love: the Real Lives of Islamic Radicals. New York: Free Press. Don’t let the title fool you (no reality show here). I met Ken Ballen in 2008 on a trip to meet with ‘reformed’ Al Qaeda members in Saudi Arabia. This very accessible book offers deep insights into the narratives of leaders and followers alike. 10. Silke, A. (1998). ‘Cheshire-Cat Logic: The Recurring Theme of Terrorist Abnormality in Psychological Resesarch’. 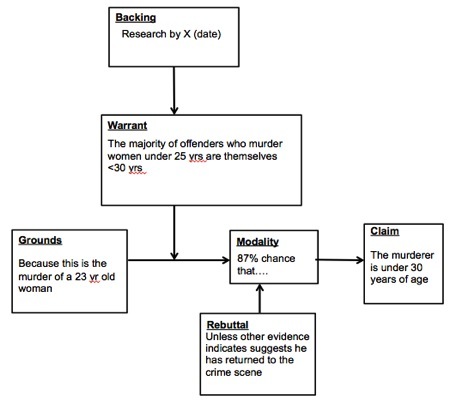 Psychology, Crime and Law 4, 51-69. An oldie but a goodie, Silke uses the famous Alice in Wonderland metaphor to frame the persistent effort to psycho-pathologize terrorists. 11. Taylor, M. (1991). The Fanatics: A Behavioral Approach to Political Violence. London: Brassey’s. This is it for me – the pinnacle of psychological analyses of the terrorist. A deeply technical book (intentionally so) explaining via behavioral psychology terrorism, Millenarianism, suicide terrorism and much more besides. Unfortunately almost impossible to find as it’s been out of print for a long time. Additions, suggestions, recommendations? Feel free to add! For those studying cybersecurity threats and responses, here are few new recommended resources. 1) A terrific expose by David Berlind, of Programmable Web, on new API vulnerabilities as demonstrated by the recent hacking of social posting and scheduling service Buffer. 2) A new Inspector General report revealing that the Departments of Homeland Security and Defense, including the National Security Agency, have no way of sharing current alerts about computer breaches with each other or industry.